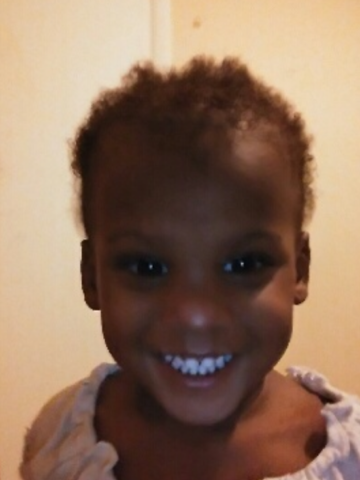 Julian Theodore “JT” Pope, Jr. and Julianna Ty’Shae Pope, age 2 of Springfield, went to be with the Lord hand in hand with their siblings on December 12, 2016. JT and Julianna were born on August 23, 2014 to their parents Julion Pope and Brittany Crayton. Born twins they were as different as day and night. Julianna was the “boss” and JT was the caregiver. The twins loved to chase Julianna as she drove around the yard in her red car. They both enjoyed listening to music and dancing and carrying around their little Chihuahua Sazzy. JT was born the biggest, and with that came a heart bigger than anyone could imagine. He was laid back and enjoyed talking to anyone that would listen. He brought a smile to everyone’s heart by just hearing him laugh. He was his mama shadow and the apple for his daddy’s eye. When heard one of his parents say “Load Up” he knew he was in for a treat. JT loved to ride around exploring new places. He enjoyed watching cars and wrestling with his older brothers, and will forever be known as Sazzy’s Protector. They were preceded in death by grandparents, Theodore Suggs, Demetris Pope Kendrick and Patty Cunningham; great-grandparents, Florine Pope, O’Neal Williams and Ted Johnson; great uncles, Rev. James Johnson, Harold Johnson and James Pope. Left to cherish their memory are parents, Brittany Crayton and Julion Pope; her siblings, Brantavius Lewis, Keaja Pope and Byron Crayton; grandfather, Paul Kendrick; great-grandparents, Barbara and Joe Robinson; aunts, Molly Pope, Tesha Suggs, Lawanda Pope, Sha’la Traughber, Elesho Turner; great aunts and uncles, Candy Pope, Robin Pope, Ivory “Ike” Pope; and a host of cousins aunts, uncles and friends. A Life Celebration Service will be held on Saturday, December 17th at 2:00 P.M. at Springfield Baptist Church, interment will follow in Springfield Memorial Gardens. The family will receive friends at the church from 11:00 A.M. until service time. A special thanks to Ramona Putterson for the attention love and care she always gave to my kids. Such a beautiful smile for such a beautiful Angel!